Through play in the exhibit components. children will investigate their own personal statistics (height, and weight) plus discover the wealth of diversity within their community. The Block Wall encourages visitors to work together using simple machines in playful, dynamic and compelling ways! In the Build Zone, children plan, design, engineer and build their own creations using LEGOs and other blocks, real wood and tools. Manage a construction site in the Rock Box. Plus the Sand Box augmented reality system" is a delightful topographical experience. Children discover spatial relationships, develop fine and gross motor skills, and hone their ability to work with others. The desire to fly has proven to be an inspiration for scientific investigation to children for generations. 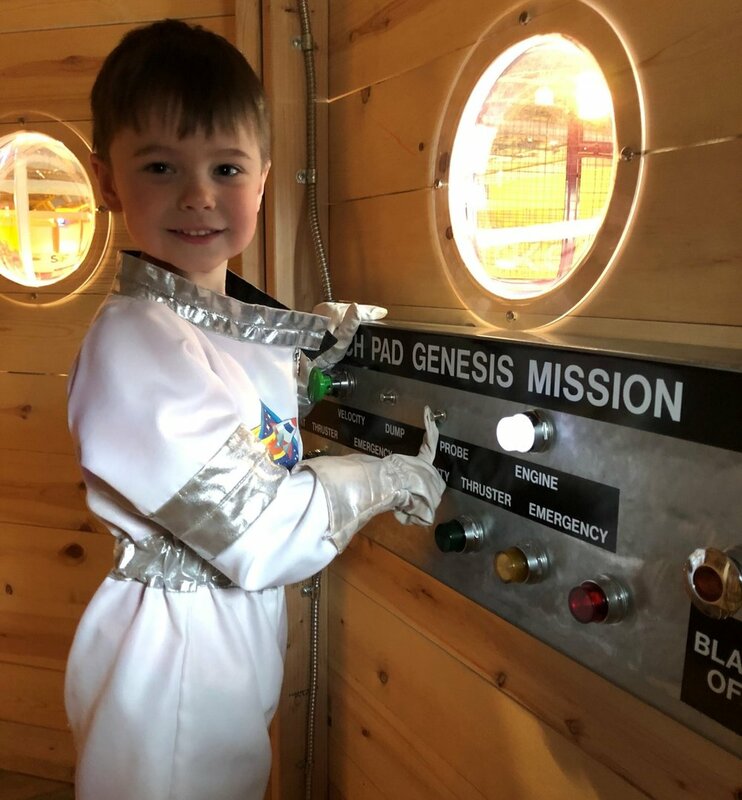 The rocketship playhouse includes gravity and dexterity activities plus children can create their own constellations in a black light command module. The Bernoulli blower and wind wall provide compelling ways for kids to touch and understand air. 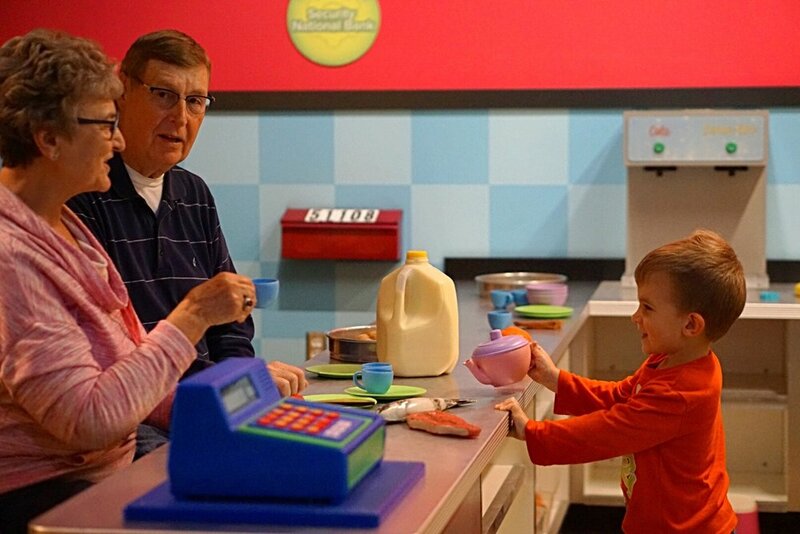 LaunchPAD’s Water Table is the museum’s signature exhibit, signifying the importance of rivers to the Siouxland area, plus allowing visitors to discover and experiment fostering intuitive curiosity-driven learning. A highly important aspect of role-play is the function it plays in socialization, encouraging friendship, cooperation, listening, and turn-taking. Allowing children to independently explore, experience, and be in charge of these familiar places foster a feeling of empowerment. While playing, children will encounter a variety of foods, take on diverse roles, and develop literacy and math skills as they sort, count, group and serve. The Agriculture area offers an environment where children discover and learn about some of the different foods that grow locally. As children pretend, use their imagination, and role-play, they experience the life of a farmer and learn how the farm and farm equipment help to give us our food. Early stimulation is known to actually build neural pathways in the brain; early experiences shape not only children’s ability to learn but also their attitudes toward themselves and others. 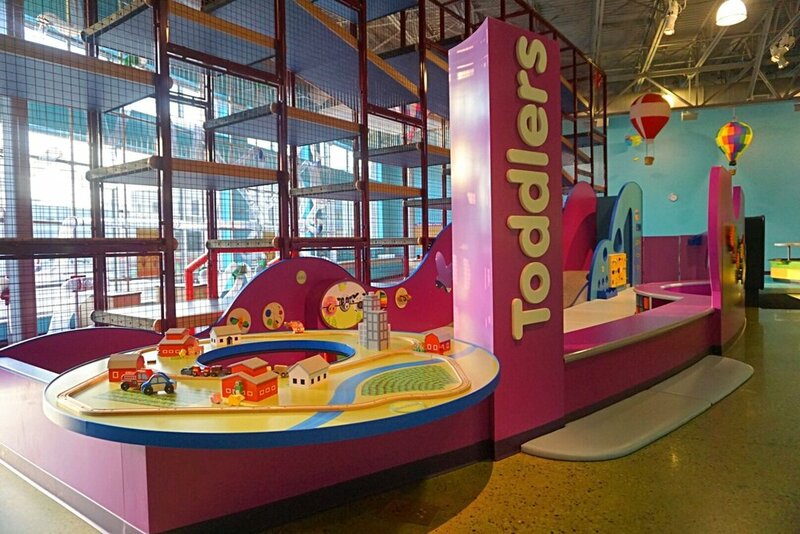 The Infant-Toddler Area provides a learning environment for the littlest visitors and the adults who care for them. Developmental challenges encourage every little body to grow and develop.